Alternative credentials are creating exciting opportunities for learners to communicate their skills and competencies in new ways, but there are critical steps institutional leaders need to take to truly establish their market value. The national debate is ramping up over the value of short-term credentials, and there’s no doubt that community colleges play a critical role in demonstrating that value. But is it fair to lay the responsibility of generating demand strictly at the doorstep of colleges? What role do other stakeholders such as employers, students, parents, secondary educators, policy makers, and credential holders play in helping to demonstrate the value of a credential? To jobseekers, earning a credential is viewed as a sign of success in many education and training programs across the nation. 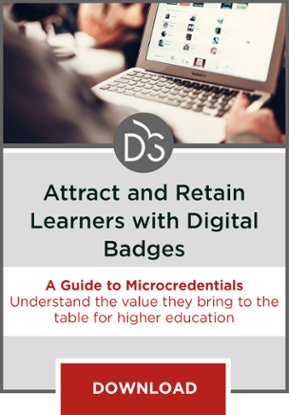 Attainment of credentials like certificates, certifications, or micro-credentials, increased dramatically over the past decade—about 33 percent, according to recent measures. Yet, despite evidence of the benefits that receiving a credential can have for students and jobseekers, the benefits to employers are less clear. I recently examined the challenges of scaling demand for short-term credentials from the perspective of community colleges and businesses. The purpose was to develop a set of recommendations for community colleges as they step up efforts to promote the value of their credential programs to local employers and incoming students. 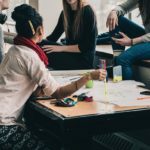 The paper, Four Ways to Increase the Value of Short-Term Credentials: A Guide for Community Colleges, was developed for Lumina Foundation to inform their goal of increasing the higher education attainment rate of the US to 60 percent by 2025. Defining short-term credentials is complicated because there are so many, and they are not all standardized. My research focused on certificates, certifications and microcredentials. In general, these credentials, which vary in difficulty and skill value, indicate that a student has achieved competency of a skill after taking a course or an exam or successfully completing some other method of evaluation. I interviewed roughly 30 representatives from both industry and education. Based on these conversations, it’s clear that both sides have their work cut out for them as they look for new ways to approach credential awareness and scalability. Interestingly, they indicated that several other stakeholders also have an important role to play. On the business side, employers are facing a tightening labor market, highly skilled positions that must be filled quickly, and a confusing landscape of credential providers, competencies, and assessment methods that all claim to reflect their input and needs. 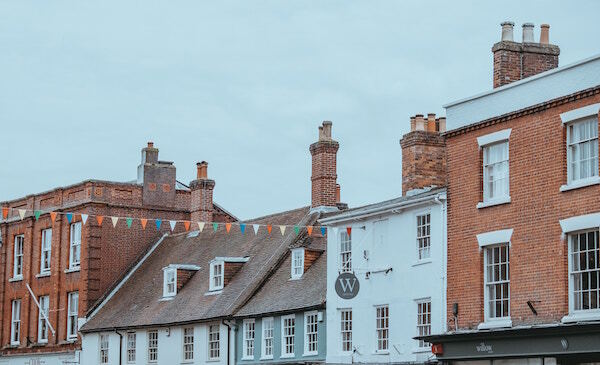 Most small businesses have limited time and resources to dedicate to building relationships with their local colleges, and the evidence showing the impact these credentials can have on their bottom line simply does not exist. Other factors that impact a company’s likelihood to integrate credentials into their hiring practices include rigid human resource policies and misunderstanding of the skills needed to fill positions, preference for a job applicant’s demonstrated competency during an interview, lack of local talent that has the credentials, and the fact that most employers just aren’t aware of what a credential means in terms of skills, competencies, and experience. More compelling data on the impact that credentials have on workplace productivity, safety, and onboard training time. A higher concentration of local jobseekers who possess industry credentials. More accessible and affordable credentialing programs made available to potential job applicants. Increased awareness efforts from local community colleges about their credentials and their value to businesses. On the other end of the spectrum, community college faculty and administrators say they often have extremely tight marketing budgets that limit their ability to forge effective relationships with employers and raise awareness of their programs. Many face institutional barriers, such as faculty resistance and cumbersome curriculum review processes that limit the flexibility and responsiveness of programs. Accredited programs are required to convene an industry-led advisory council to guide course content and curriculum development. However, faculty members admitted that these councils are often so focused on achieving the minimum requirements for accreditation compliance that they leave little time for true industry discussion and debate. In addition, these councils often don’t represent all facets of an industry, with most comprised only of the largest, most prominent employers within a region. Get Creative with Marketing: Leverage alumni networks through social media, take advantage of opportunities to connect parents and students with credential holders, and promote success stories that paint a compelling picture of the impact that credentials can have on businesses and jobseekers. 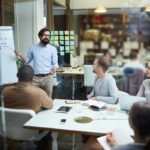 Shake Up Institutional Culture: Gain faculty support by way of a “lead by example” shift that emphasizes professional development, field experience, and certification for program instructors. Look for ways to amend curriculum review and development protocols to support nimbleness and flexibility for technical programs where competencies and technologies are constantly changing. Remember All Stakeholders: Don’t underestimate the impact and reach that stakeholders, such as industry associations, chambers of commerce, workforce and economic development associations, and policymakers can have in leveraging funds, accessing broad, diverse audiences, and influencing the business community. The credentialing landscape can be misleading, ambiguous, and altogether confusing for employers and students who want to get the biggest bang for their buck. 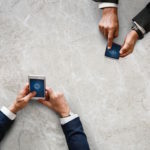 Lumina Foundation and others are working to develop mechanisms for clearing the fog around the various credentials through efforts that include the Credential Transparency Initiative and the Connecting Credentials Beta Framework. One thing is certain: to build greater momentum around their credential programs, community colleges must acknowledge the need for a unified, multi-pronged approach to awareness, engagement, and outcomes measurement. For more detailed guidance on how community colleges, businesses, and other external stakeholders can work together in this important effort, please access the paper here.